Columbus, Ohio – September 29 is National Coffee Day, and the day Experience Columbus will launch its new Coffee Trail. The trail is designed to introduce visitors and locals alike to the city’s hot coffee scene, which features more than a dozen local craft coffee roasters (most single-origin) and even more specialty coffee shops. All of them share a passion for quality, but each has its own intriguing personal story about what launched their love affair with the bean. A special Columbus Coffee Trail website will soon be unveiled, featuring rich content on the local coffee scene. Eight of the many local roasters and coffee shops will be highlighted. Visitors can get a Coffee Passport at any of these eight stops or at one of two Experience Columbus Visitors Centers, in the Arena District or at Easton Town Center. After visiting just four of the eight featured stops, coffee lovers will receive a special Columbus Coffee T-shirt from Experience Columbus. In addition to the city’s many artisan coffee shops and roasters, an annual Coffee Roaster’s Festival (held every March at Columbus’ North Market) and Columbus Food Adventures’ Coffee Tour highlight the city’s exploding micro-roaster culture. 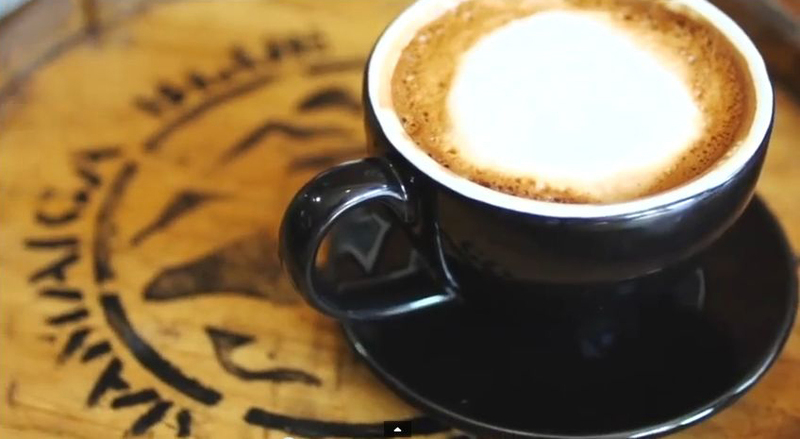 Café Brioso roasts a wide variety of coffees crafted by owner-roastmaster Jeff Davis. Brioso customers enjoy the process as much as the product, as expert baristas concoct the perfect cup. The ever-changing, made-from-scratch soup and sandwich menu is designed to perfectly complement the brew. www.cafebrioso.com. Impero Coffee Roasters treats the act of coffee roasting as an art form. This family-run shop is a hit in Columbus’ trendy Short North arts and entertainment district. Entertaining baristas, quality coffee, perfect espresso and a locally sourced food menu draw crowds, even late into the evening. www.imperocoffee.com. Mission Coffee Co. is the new kid on the block, helping coffee aficionados interact with their java. Mission taps every imaginable brewing technique, from the most traditional to the most modern, including: pourover, Chemex, Clever, siphon, drip, woodneck, French press and espresso. www.missioncoffeecup.com. Stauf’s Coffee Roasters, the senior member of Columbus’ coffee club and big daddy to Cup o’ Joe and MoJoe Lounge coffee shops, opened in 1988. This pioneering coffee roaster imports the highest quality Arabica beans from 20 countries, then hand fires them in a gas-powered roaster. www.staufs.com. Boston Stoker serves some of the world’s finest coffee and tea, including single-source coffee beans from African, American and Asian-Pacific roasters. A robust retail store and knowledgeable staff offer great education and coffee and tea accoutrements. http://bostonstoker.com/. Columbus is a city unlike any other. Vibrant and alive, Ohio’s capital is known for its open attitude, smart style and entrepreneurial spirit. Columbus’ uncommon blend of neighborhoods, arts and culinary experiences, events, attractions and accommodations are made unforgettable by its diversity of outgoing locals who warmly welcome visitors. Free travel guides, maps, online booking and detailed information are available at www.ExperienceColumbus.com or 866.397.2657 (866.EXP.COLS). Visitor information is also available on Facebook: facebook.com/ExperienceColumbus and facebook.com/ColumbusFoodScene, Twitter: @ExpCols and Pinterest. Additional information, fact checking, color images, and press trips available. Weirick Communications is the public relations agency representing Experience Columbus.